12' A valuable later flowering small to medium sized tree with wider spreading branches. 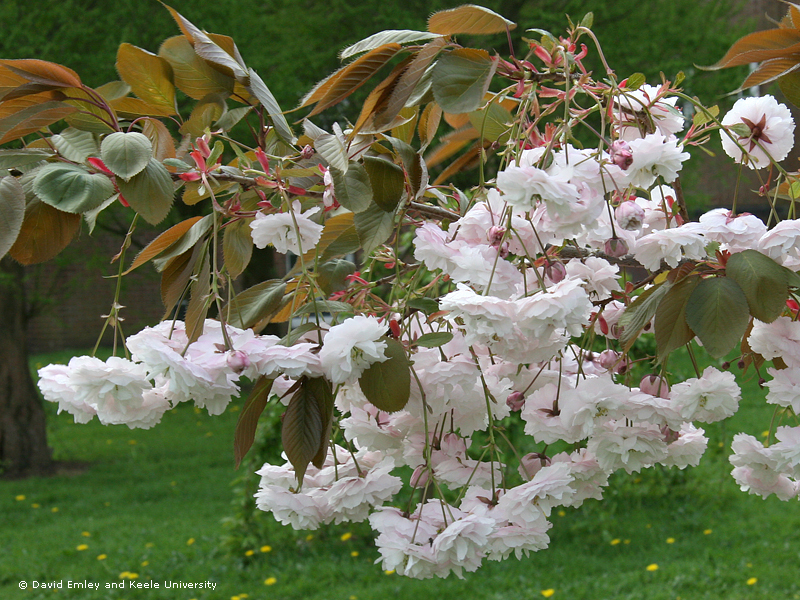 The creamy pink buds open to double pure white flowers which fade to soft pink before falling. The contrast very effectively with the coppery flushed new leaves which turns a deep orange in the Autumn. One of the best for general planting with its attractive elegant habit and generous later flowering. The Japanese name for this cultivar is 'White God' which is certainly most appropriate.